These verses of Psalm 23 help us to understand the life of our Sister Malia Kalemeli during her last days here on earth. 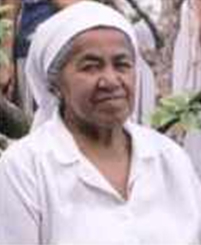 Sister Malia Kalemeli, Pulutesiana Tagatamanogi, was born on 9 February 1936 at Taoa, Alo, Futuna. She went to school with the SMSM sisters at Kolopelu. Seeing the sisters’ life she wanted to live like them. This meant leaving for Wallis an island 200 km away, and leaving her family in order to get used to another language and way of life. 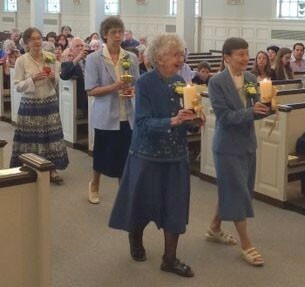 In 1956, when she was 20 years old Sister Malia Kalemeli entered the postulancy and began her formation in Wallisian. She made profession on 16 July 1959 in the Chapel of Lano. 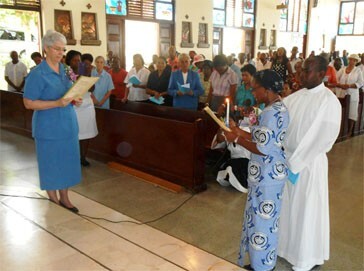 For several years she gave service at the Novitiate and was then sent to New Caledonia to learn French. While there she studied domestic science. In 1965, she made perpetual vows, committing herself forever in the Congregation. She taught domestic science in both Futuna and Wallis. From 1970 to 1979 she took care of the boarders in Sofala. Her concern was to prepare young women to be homemakers or to enter religious life. She went to Tonga in 1991 where she worked with the women and she liked being on mission outside of her country. 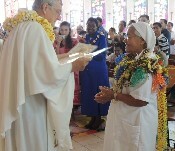 After a time of service in Kolopelu, Futuna, Sister Malia Kalemeli gave service at the Generalate in Rome, and then in Ste Foy-lès-Lyon, France where for two years she helped care for the senior sisters. 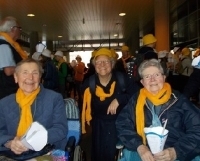 Returning to the Pacific she helped to care for the senior sisters in Sofala, Wallis. 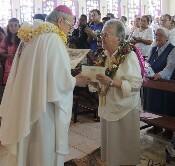 Her last mission was Sigave in Futuna. It was there that she began to tire easily and it was clear that her health was declining. She was diagnosed with cancer and spent the rest of her days in peace at Sofala. Surrounded by her community and family, she was aware of the state of her health. Despite the seriousness of her illness she did not suffer and spent her days in prayer. Sister died on October 20, surrounded by her community, her brother, nephews and nieces. 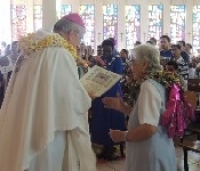 Her funeral Mass was celebrated by Bishop Lolesio Fuahea, assisted by Fathers François Jaupitre and Petelo Falelavaki. Sister was buried at the cemetery of Lano, where all those who have worked in this mission are buried.